Extending credit to customers always helps in running a business and allowing the business to have more working capital to expand. Generally, businesses do not want to miss to increase their working capital. Therefore, telling your customer that you are now expanding their repayment terms and allowing them to pay in 30 or 60 days instead of cash up front is really a win for them. Yes, it costs you a little bit but there are great benefits to doing this. Invoice factoring is best solution to convert piles of unpaid invoices into cash and pump funds into your company’s system. This flexible source of funds lets businesses convert their invoices immediately into cash after the transaction is complete instead of waiting for customers to pay after their due date. It is a great source to fund short-term capital requirements and does not burden the businesses with additional liabilities or any interests. With help of a reliable invoice factoring company, businesses can get almost any amount of receivables factored as long as eligible to meet their working capital requirements. Once this is done, collection part is now taken care of by the factor. Post due date, client will pay the due amount to factor. How would Customer React to Business Receivable Factoring? Once business decides to get a particular receivable to be factored, it needs to inform their customer about this arrangement. Business owners generally have a misconception that accounts receivable financing is not appreciated by their customers. In 99% of the cases, the customers do not even care. The 1% that care typically do not want the extra oversight of a 3rd party that professionally monitors the payments and will hold them much more accountable if not paid. Beware of the customer that puts up a fight to be assigned as a factoring account as they may not be a customer you should be keeping. 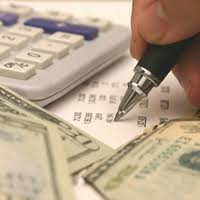 In US such factoring arrangements have become common and many industries are into it already. Businesses understand such setups and completely favor these, and prove such exaggerated misconceptions to be baseless. They appreciate an owner’s effort to keep themselves in good financial position and thus support the request for invoice factoring. When and How to Intimate Clients? As soon as your business initiates a factoring arrangement, you will need to inform the customer (as well as the factoring company) to direct the payments to the factor. Again, the factor have a certain level of direct communication with the customer as well to verify assignments and invoice amounts. After the due date, if reminders are needed, factors do it politely in most cases just as the business owners would have notified the customers. Retaining a good relationship with your customers are a top priority of any factoring company. The SECRET lies in finding a reliable and EXPERIENCED factoring company that is very professional, particularly when it comes to handling your customers and collections. In 1985, 1st PMF Bancorp was founded as a family run lender providing factoring, but as our clients’ businesses expanded globally, PMF Bancorp expanded its services to provide credit and financing support for our clients domestic as well as international business needs.